Theresa Cobb, a graduate of the University of South Florida, is a professional writer and editor. She specializes in writing informed articles, blogs, and SEO content. In her spare time, she dabbles in creative writing and Dungeons & Dragons. When there are more than 1.8 billion websites in the world, businesses trying to create successful websites are often discouraged. It’s important to keep in mind that these websites aren’t all active. The ones that are active aren’t all targeting the same audience that you as a business owner are. Many people hit roadblocks when they’re trying to drive traffic to their website. Some of these people give up before they should. Having a website is essential to giving business owners a good indication of their business growth. Plus, websites show them where they need to improve. 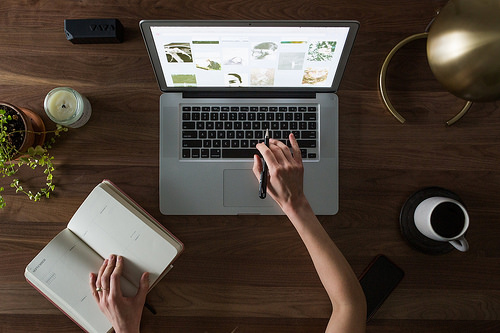 It can be a really difficult process, but you can make strides in improving the traffic to your website by completing the following eight steps. You’ve probably heard how social media is a great way to drive traffic to your business. However, you might not know what social media tactics actually work. Social media is a great way to establish brand recognition, create a community for your customers, and grow your bottom line. The tricky part of utilizing social media for business is choosing what platform works best for you. Google+: Share your content on Google’s own platform and boost your SEO. Snapchat: Give your customers a behind-the-scenes look into your business. Tumblr: Create a diary through multimedia means that will support your main website. Pinterest: Share any relevant infographics and images from your website’s blog. Reddit: Prove your knowledge in your industry while engaging with your community. With so many platforms, it can be a challenge navigating through which social platforms you should have for your business. How do you decide which ones you should utilize? Simple: follow your customers. Research which platforms your targeted demographics use. Cater your content toward them. People naturally have a desire to belong. They want a place to connect with people who have similar ideas. They want to speak, and they want you to listen. What does this have to do with your business’s website? Having customers feel like they belong and that their feedback is affecting the way you do things will drive traffic to your website. Allow them to speak their minds on your website and linked social media. Respond to good and bad comments in a professional and considerate way. Creating a blog for your website seems like such a tedious and unnecessary process. After all, people are just visiting your site to buy the service or product you offer, right? Wrong. Blogging is an easy way to drive traffic to your website. When you blog, you’re creating content that shows visitors that you’re an expert in your field. If you’re able to answer a question or provide instruction about something that relates to your services, you’re building trust. With trust comes an increase in sales and conversion. When you start your blog, you don’t have to do all of the writing. Invite other experts in your industry to offer their knowledge and advice in guest posts. When people write guest posts for blogs, they typically link it on their website and other social platforms. This will attract a bigger audience to your website as their readers will come to check out the new blog. Plus, if the guest already has an audience that trusts them then that audience will trust what you have to offer. In a similar vein, write for someone else’s blog as well. Much like the other two steps, guest blogging on someone’s site can inspire trust and help you reach a new audience. When you secure a guest on a reputable site, it shows people that you’re an expert and gets your business’s name out there. Be sure that in all instances of guest blogging that you’re putting out the best content. Better content means more interest in the website and better SEO. Video content is on the rise, and you should take full advantage of it. It’s predicted that in 2019, 80 percent of all consumer internet traffic will be from internet video traffic. If you spend any time on social media, you’ll notice that videos are everywhere. The reason for that is simple: they convey messages more easily than any other form of content. With video content, you show your audience tone and body language that you can’t convey with words. Your audience won’t be able to incorrectly interpret what your service or product does. It allows them to see just how successful what you’re offering can be for them. While video content is powerful, it’ll do little for your company if it isn’t high quality. When making video content for your business, focus on keeping it as entertaining and positive as possible. Don’t just dump a bunch of information on them. Grab your audience’s attention. Internal links are a terrific way to bolster your SEO and keep visitors on your site longer. Internal links not only benefit you but your audience as well. Linking to other pages on your site will help them quickly find what they’re looking for, whether it be service information, a product, or something else. When creating content for your website, keep in mind where you can place internal links. Blogs, for example, are great places to utilize this idea. Long-tail keywords account for 70 percent of all search terms. These keywords are specific, meaning that the person using them knows what they want and are ready to buy. When you use long-tail keywords in your searches, make sure that they are suitable for your business and are reliable. You don’t want them to be so specific that rarely anyone is going to use them. They’re an invaluable tool when used correctly. 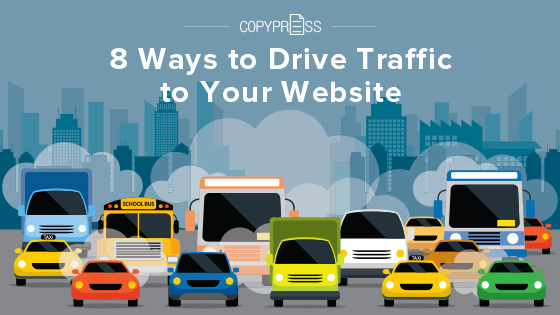 These steps are just a few unique ways you can drive traffic to your website. When considering what else you should do to help your success, consider marketing techniques you haven’t tried yet. See whether a strategy is relevant to your business and how you can benefit your audience. To succeed, it’s crucial to provide high-quality content and stay on trends within your industry.